Missense tasks you with correcting gene patterns that are out of order. Figure out the mess that needs solving in this unique puzzle game! With four original levels (plus a tutorial level) there's plenty to keep your brains teased for a while! 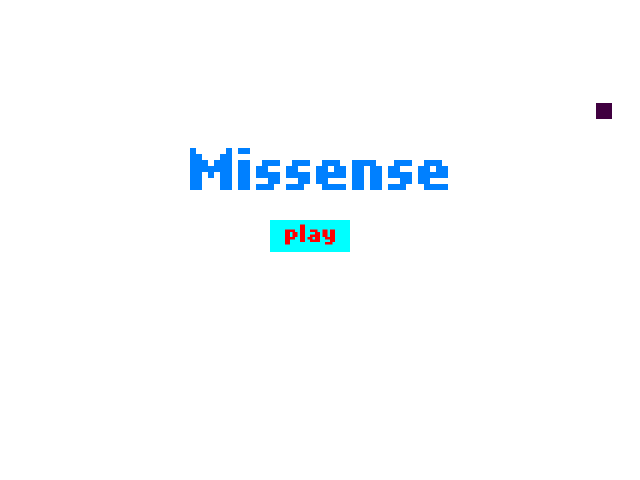 The public alpha release for Missense. Soft update available! Missense is a gene swapping puzzle game about a young man trying to live his dreams. -Follow a young man throughout his life as he chases his dreams. -Added a light color beneath the cells so they'd be easier to see. -Changed the journal text from red to black to read easy. -Added a message to a level indicating it's Sandbox status.